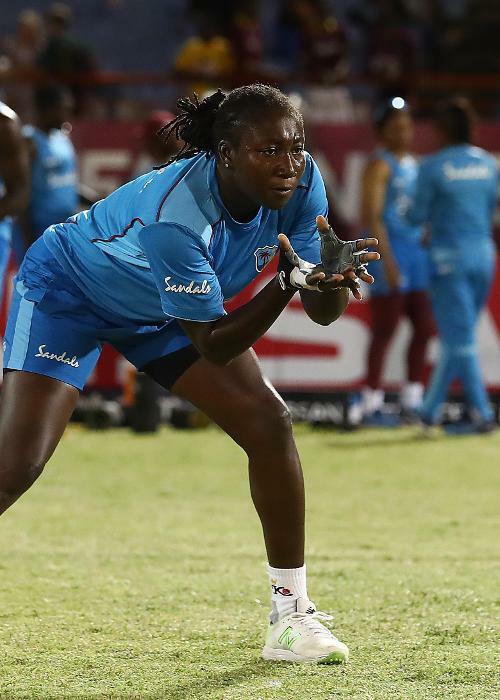 Stafanie Taylor of West Indies warms up ahead of the ICC Women's World T20 2018 match between West Indies and Sri Lanka at Darren Sammy Cricket Ground on November 16, 2018 in Gros Islet, Saint Lucia. 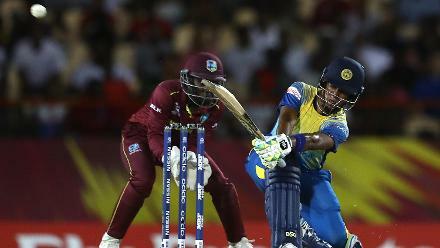 Sri Lanka warm up during the ICC Women's World T20 2018 match between West Indies and Sri Lanka at Darren Sammy Cricket Ground on November 16, 2018 in Gros Islet, Saint Lucia. 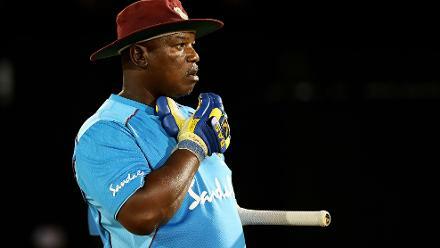 Hendy Springer, Coach of West Indies Women looks on during the ICC Women's World T20 2018 match between West Indies and Sri Lanka at Darren Sammy Cricket Ground on November 16, 2018 in Gros Islet, Saint Lucia. 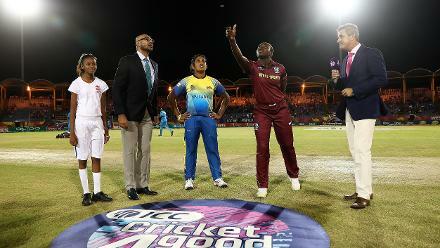 Stafanie Taylor of West Indies and Charmari Atapattu of Sri Lanka pictured during the coin toss ahead of the ICC Women's World T20 2018 match between West Indies and Sri Lanka at Darren Sammy Cricket Ground on November 16, 2018 in Gros Islet, Saint Lucia. 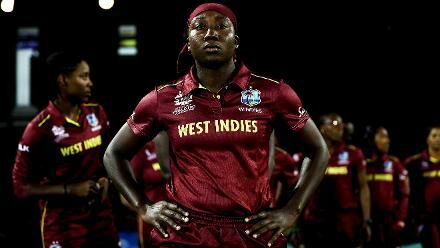 Stafanie Taylor of Windies waits to lead her team out during the ICC Women's World T20 2018 match between Windies and Sri Lanka at Darren Sammy Cricket Ground on November 16, 2018 in Gros Islet, Saint Lucia. 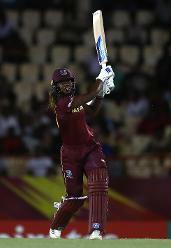 Hayley Matthews of Windies hits the ball towards the boundary during the ICC Women's World T20 2018 match between Windies and Sri Lanka at Darren Sammy Cricket Ground on November 16, 2018 in Gros Islet, Saint Lucia. 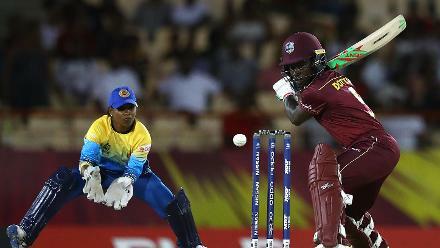 Natasha McLean of Windies hits the ball towards the boundary, as dilani Manodara of Sri Lanka looks on during the ICC Women's World T20 2018 match between Windies and Sri Lanka at Darren Sammy Cricket Ground on November 16, 2018. 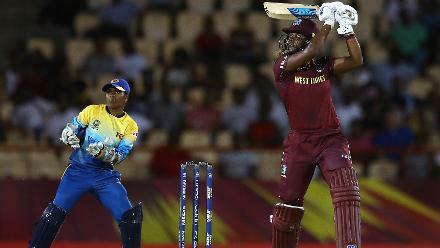 Deandra Dottin of Windies hits the ball towards the boundary, as Dilani Manodara of Sri Lanka looks on during the ICC Women's World T20 2018 match between Windies and Sri Lanka at Darren Sammy Cricket Ground on November 16, 2018. 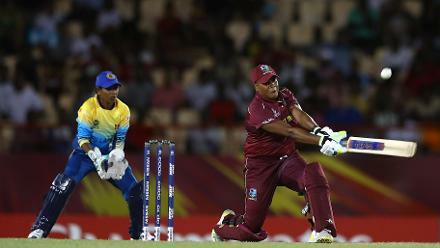 Hayley Matthews of Windies hits the ball towards the boundary, as Dilani Manodara of Sri Lanka looks on during the ICC Women's World T20 2018 match between Windies and Sri Lanka at Darren Sammy Cricket Ground on November 16, 2018.